Kite is still very much alpha software : it can only display individual messages. He hopes to get something a lot more useable in the next few months, though. 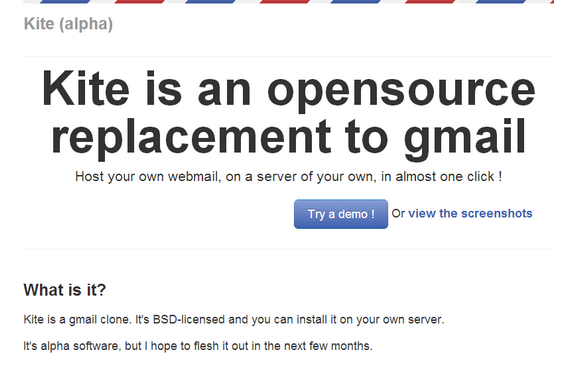 He’ll start with threading, gmail-style, and the old school compose. Please feel free to fork it on GitHub and modify it as you like.